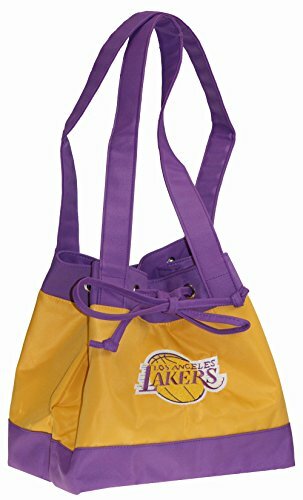 NBA lunch tote - Littlearth exclusively distributed by charm 14. This insulated lunch bag keeps food and drinks hot or cold. Eco-friendly, insulated lunch bags are reusable and help keep unnecessary packaging out of our oceans and landfills. Tie closure and embroidered team logo. 100% polyester. Hand wash only, line dry, do not iron. Measures 12-inches by 10-inches. Spacious Enough for Your Lunch, Drinks, Utensils and More, Easy to Grab and Go! If you have any questions about this product by Charm14, contact us by completing and submitting the form below. If you are looking for a specif part number, please include it with your message.